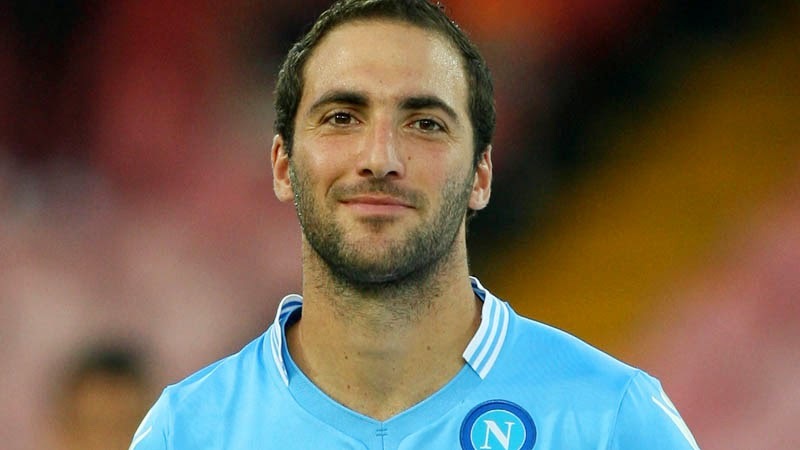 Enko-football: Higuain: "I never considered Napoli exit"
Higuain: "I never considered Napoli exit"
Barcelona were heavily linked with the Argentine forward, however Higuain claims he always wanted to remain at the San Paolo. “I only thought about the World Cup and that I would return to Napoli,” the former Real Madrid forward told La Gazzetta dello Sport. A move to the Nou Camp gathered momentum after Lionel Messi claimed he would love to play club football with his international colleague. Asked about Messi’s comments, Higuain added: “Messi said certain things and I can only be flattered by them. “I believe that every player would love to play alongside a great champion like him, but that does not mean that I ever wanted to leave. Higuain believes Napoli can challenge for the Serie A title, with Juventus’ manager Antonio Conte resigned after their third consecutive Scudetto title. “The league will be more balanced. I don’t think there will be a club able to get 102 points like Juve,” said Higuain.